Theo (Sam Fordham) is on a quest. He finds among his late mother's belongings a Super-8 film, in which his dad looks really happy - and a little in love (maybe a lot)... but not with Theo's mother. Theo never really knew his dad and now that his mom is also gone, he's intrigued to find out who else there was in his father's life. His quest leads him into the past, and to Switzerland, high up into a remote Alpine valley. There he finds George (Sebastian Michael) who has been living as a recluse for a decade. For George, Theo's dad was the love of his life. As the two men meet and get increasingly close to one another, slowly their lives start to make sense. A thoughtful meditation on family and first love by writer/director/actor Sebastian Michael. Beautifully shot by award-winning director of photography Gregor BrÃ¤ndli. Young star Sam Fordham is an actor to keep an eye on. He gives a great performance as Theo - it also doesn't hurt that he's really cute. The somber, but hopeful and ultimately uplifting tale of a young man in search of a father figure, The Hour of Living is a positively gorgeous meditation on relationships, familial ties and the power of simple human connection. When his mother finally succumbs to a long illness, young Theo (adorable newcomer Sam Fordham) is prepared to deal with the loss. Having lost his father when he was only ten years old, Theo is strong and emotionally sound. While searching through his mother's belongings, he stumbles upon a piece of film from around the time when he was born. The footage shows his late father, young and seemingly happy. Soon after, Theo sets out on a quest to find more info about his dad. His search leads him to George Walter (played by writer/director Sebastian Michael), a close friend of his father's. George lives high up in the mountains. He was a bit famous once, but since has become a recluse. When Theo meets George something special happens. It turns out that George was once in love with Theo's dad - so what he sees in Theo is more than just his first love's son. 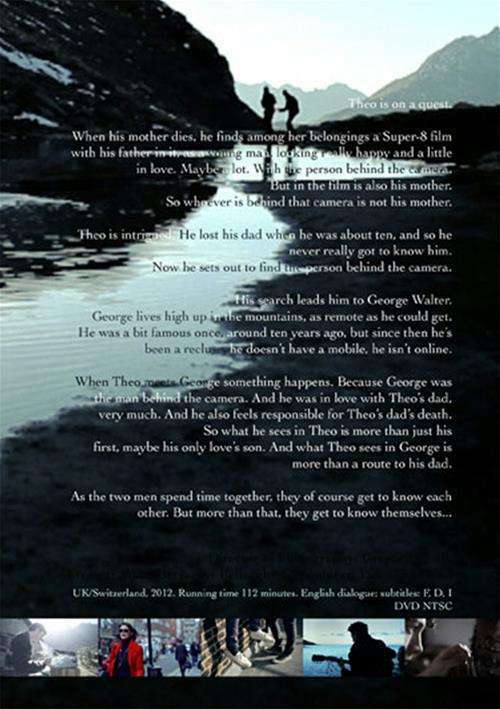 And, in return, what Theo sees in George is more than a route to his father. As the two men spend time together on the mountain, they get to know each other, but even more than that, they get to know themselves. 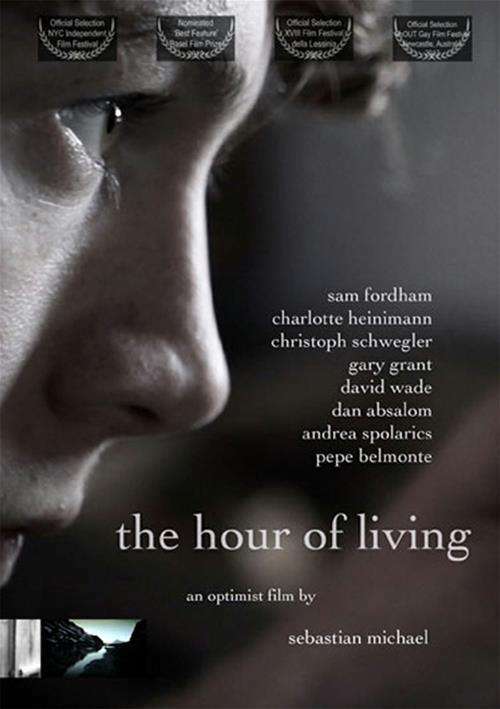 Filled with beautiful, other-worldly imagery, a haunting original soundtrack and powerful performances (particularly from lead actor Sam Fordham, a rising star to keep an eye on), The Hour of Living weaves a bittersweet tale of important connections lost and found. Smart, Funny, Piercingly Poignant. Well worth your while. When Theo's mother dies after a long illness, he goes looking for his father. He found, among his mother's belongings, some film that shows his dad as a young man. His father looks happy in the shots. However, his mother could not have been the photographer since she is also in the film and Theo wants to know who that is. He soon gets to the Alps where George, his father, has been living a reclusive life. Theo thought that he lost his father when he was just ten years old in what may or may not have been an accident and now he wants to get to know him so he looks for whoever was behind that camera. He eventually gets to George who was the man behind the camera. George was his dad's lover and who feels responsible for his death. As the two men to know each other, they also get to know themselves. Theo sees something in George that is a bit more than just getting to know about his father and they spend a lot of time together. Sebastian Michael wrote, directed and edited this very talky film and it is the cinematography of the two men's faces that moves the film forward. It is a bittersweet look at two guys who are able to let memory heal their wounds.